Unlike the dispuzzle, this game requires increased attention. Triangles have to be slid over the screen and placed in order to reach the goal of the game: to clear the entire board. Four triangles of the same color form a square, which disappears as soon as it is complete. 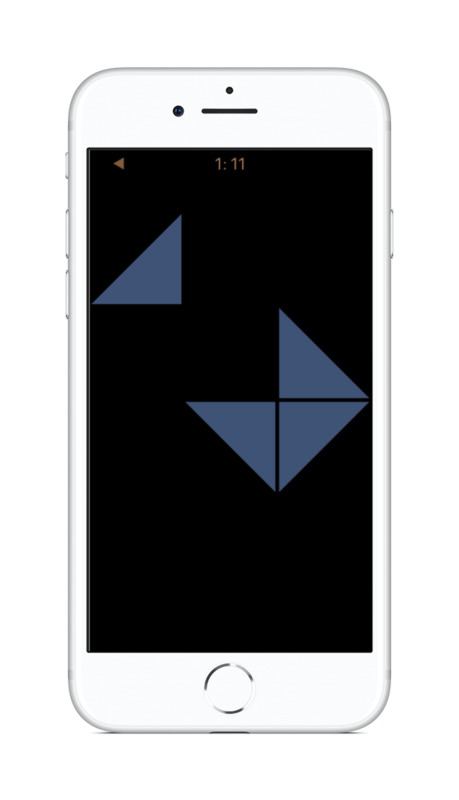 Triangles, unlike their appearance suggest, are moved vertically and horizontally across the screen.